Ageing and genetics can leave loose skin, wrinkles, and fat deposits around the eyes, making them look puffy or tired. Eyelid lift surgery (blepharoplasty) is a surgical procedure that rejuvenates the eyes by adjusting the eyelids and surrounding tissues. By removing excess skin and fat and tightening the remaining tissues around the eyes, blepharoplasty helps individuals regain a refreshed appearance. The wrinkles and skin laxity that develop in the eyelids over time can age your appearance. Mr Gwanmesia can rejuvenate your appearance by removing loose skin, reducing excess fat, and tightening the muscles and tissues around the eyes. Eyelid surgery effectively eliminates wrinkles and saggy tissues to restore a more youthful appearance. Droopy eyelids can make you look sleepy and tired. Excess skin and wrinkles can also give you an angry or sad appearance even when you are feeling calm or happy. Eyelid surgery tightens the tissues around the eyes and eliminates puffiness beneath the eyes to create a more awake and happy look. After eyelid surgery, you will no longer look sleepy or sad all the time but will look refreshed and approachable. The excess skin that accumulates in the upper eyelid region can cause eyelid hooding that interferes with your vision. Upper blepharoplasty can remove excess skin from drooping upper eyelids to correct hooding and restore a full range of sight. Blepharoplasty not only rejuvenates the appearance of the eyes but also improves functionality for those with vision impairment caused by sagging upper eyelid skin. Individuals may experience some swelling and bruising after eyelid surgery. A cold compress will help reduce swelling and minimise discomfort. Your vision may be slightly blurry for several days. Saline eye drops will help prevent your eyes from feeling dry. Makeup or glasses may be worn to disguise bruising until it subsides within three weeks after your procedure. Patients are usually able to return to work within one to two weeks. You should only resume regular exercise with Mr Gwanmesia’s approval. The incisions for upper and lower blepharoplasty are small and discreet. The resulting scars from upper eyelid surgery will be thin and will blend naturally with the creases in the upper eyelids. Similarly, the scars from lower eyelid surgery will be hidden below the lashes or inside the conjunctiva. The extent of scarring that develops can vary depending on your natural healing ability. After both upper and lower blepharoplasty, scarring is minimal, highly inconspicuous, and will fade over time. Anaesthesia is used during blepharoplasty to ensure a painless experience for the patient. During recovery, minor swelling may cause discomfort. A cold compress and oral pain medications can reduce swelling and improve your comfort as your eyelids heal. Q. Who is an ideal candidate for eyelid surgery? Q. Can I undergo blepharoplasty if I have glaucoma or other eye conditions? While it may be possible for patients with certain eye conditions to undergo eyelid surgery, patients with glaucoma or other serious eye conditions are not good candidates for the procedure. If you have any major eye conditions, you should consult your physician before considering eyelid surgery. Q. If I have severe dry eyes, can I still undergo blepharoplasty? Blepharoplasty may temporarily affect your eyelids’ natural blinking reflex, which can temporarily worsen dry eyes. Mr Gwanmesia will provide you with eye drops to use every few hours as needed to care for your eyes during recovery. Q. How soon will I see the results of blepharoplasty? Results will become more noticeable within a few weeks after eyelid surgery as the bruising and swelling subside. You will begin to see noteworthy results within a few weeks, and your minor incision lines will refine over the following year. Q. How long will my results from eyelid surgery last? Though the eyes will continue to age naturally, individuals who undergo eyelid surgery can expect long-lasting results that reveal a more rejuvenated, refreshed, and youthful appearance with a full range of vision. To maintain the best results, take good care of your skin and protect the area from sun exposure by wearing sunglasses, hats, and/or sunscreen. Q. What kind of anesthesia is used for blepharoplasty? Blepharoplasty is performed under general anesthesia to ensure patient comfort. Q. Can blepharoplasty be combined with other procedures? 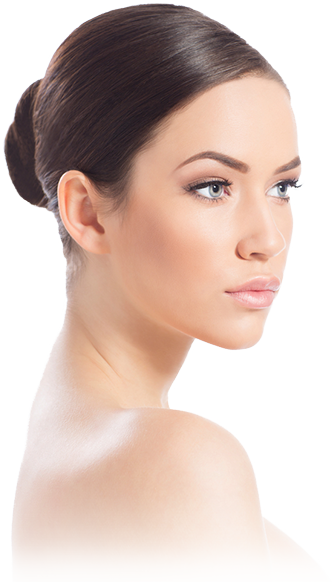 Blepharoplasty can be combined with a facelift, brow lift, or neck lift to complete your facial rejuvenation. Q. How do I know if I need blepharoplasty or brow lift surgery? During your consultation, Mr Gwanmesia will examine the root of your concerns and determine which procedure will best meet your aesthetic needs. Q. Are there any possible risks involved with eyelid surgery? While rare, possible complications include reactions to anesthesia, bruising, swelling, infection, sensitivity to the sun, and scarring. Although blepharoplasty is long lasting when paired with a healthy lifestyle, it will not stop the aging process, and with time, skin laxity will reappear. As long as you have realistic expectations, you can enjoy your refreshed and rejuvenated appearance for many years. For a long time, I was very unhappy with the way my eyelids looked. It made me look older than I was, and made me look very tired. There was also skin hanging from the upper eyelids, and getting in the way of my sight. I became very conscious of it, and it really affected my confidence. I was chatting to a friend who knew a few surgeons. She recommended Mr Gwanmesia, as her daughter had had surgery with him, and he has a very good reputation. After my consultation with him, I immediately decided to go ahead. It has been a year since surgery, and I am very pleased with the outcome. Not only was Mr Gwanmesia very professional, but he was always been there to answer my questions. I feel and look younger, and cannot recommend my surgeon enough.